A new kind of waste treatment system has been developed by Viridis Waste Control LLC, that holds the potential to improve water quality, reduce landfill usage, and to provide a large supply of renewable fuel. The process is called Septage Bioreactor Landfill technology, and it does something that hasnâ€™t been done before (in a way that is considered sustainable); blending sewage with garbage. Both sewage and the organic matter in garbage decompose and produce methane on their own, resources that are both already tapped for their energy potential at many waste facilities. This occurs because anaerobic microorganisms in the waste process the organic matter and produce methane as a by-product. The greater the amount of bacteria and organic matter, the faster the decomposition. Landfill garbage breaks down relatively slowly due to the small amounts of bacteria and the separation of the organic matter by plastic bags and other non-degradable materials. While landfills do promote decomposition and the production of methane, this process is quite slow. With the Septage Bioreactor Landfill technology, septage is blended with ground garbage, allowing the organic matter to decompose much faster than it otherwise would. This creates large quantities of methane in a short period of time, which can be tapped for fuel. The other advantage of this technology as a fuel source, is it produces methane constantly as long as there is organic material fed into it. 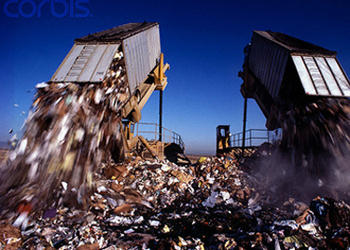 We have no shortage of garbage or sewage, so this will create a very plentiful and reliable source of energy. The accelerated decomposition also results in less space being used in the landfill, extending its lifespan, as well as reducing groundwater leaching or runoff. On a similar note, separating septage from the rest of the sewage flow would allow for much smaller, decentralized wastewater treatment facilities since only greywater would be left; a substance that can be easily and quite effectively treated with natural systems. 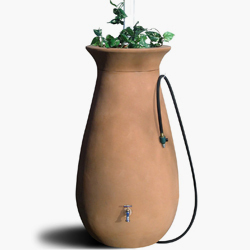 It should be noted that while this technology is well suited to our current situation, in the long run it would be rendered obsolete by more sustainable practices both in garbage disposal (through recycling practices such as Cradle to Cradle style product design and biodegradable plastics and other packaging) and wastewater treatment, such as biofilters, and constructed wetland systems.